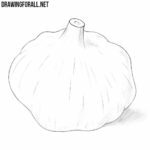 We know that our readers are very fond of simple drawing lessons in which we show how to draw vegetables and fruits. Recently, we have done a lot of similar lessons, and we are not going to stop. 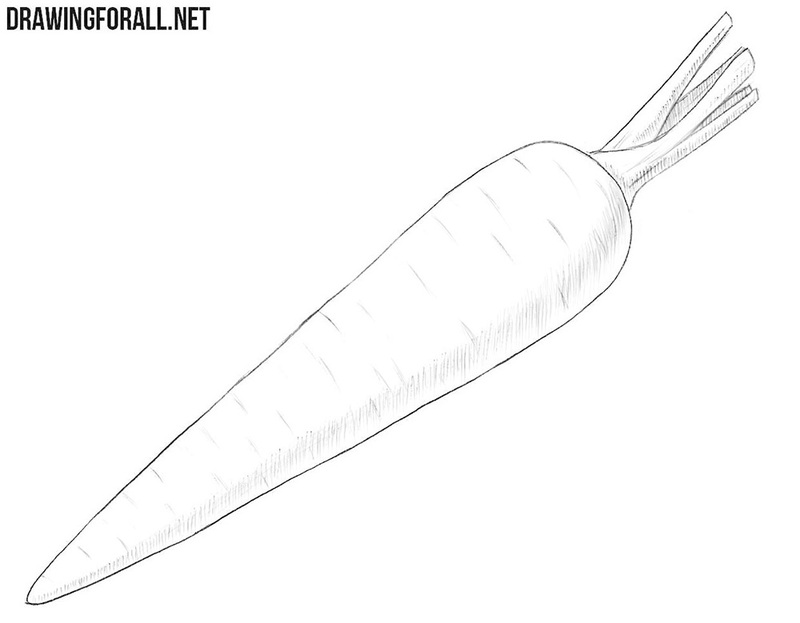 So meet another lesson on this topic, in which we will show how to draw a carrot. 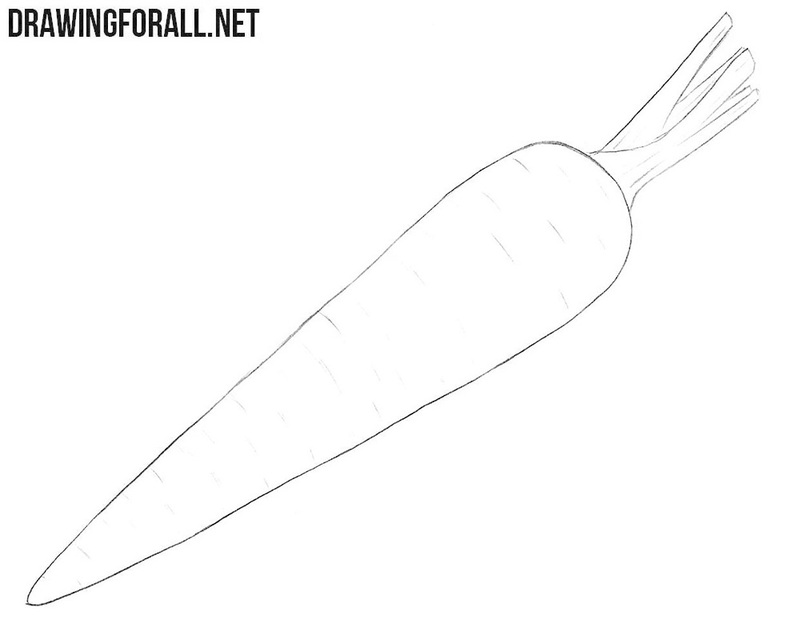 First of all, we will sketch out the outlines of the carrots, which should smoothly taper from the top to the bottom. 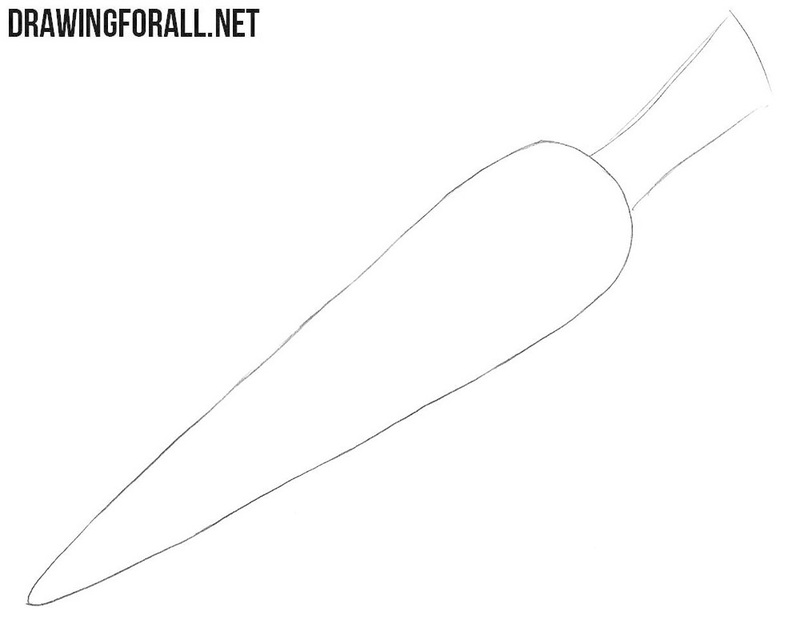 The simplest step of the tutorial on how to draw a carrot, in which we sketch the outlines of the stem with the help of light lines. Now with the help of darker lines we divide the carrot stem into several parts. These thin stems should be slightly different in thickness. 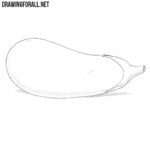 The final step of the lesson about how to draw a carrot in which with the help of dense hatching we will draw shadows on the surface of the vegetable. 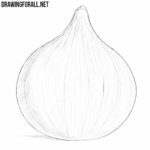 We divide all (even the most complex) our lessons, into several very simple steps to make the drawing process easy and accessible for everyone. 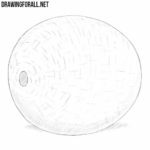 We are also trying to tell in more detail all the nuances of drawing a particular subject. 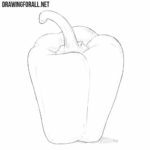 But the main thing you need to know is that your best teacher is practice, so practice drawing with us and you will become a great artist.